I needed to learn Japanese conversation as soon as possible. Learning Catchball introduced me a partner within one week after my application. I think my Japanese is getting better. I am thinking of studying abroad, for that I needed to learn English and liked to make friends with international people. I am enjoying not only language exchange but also talking with my partner about many topics. I liked a partner around my age, Learning Catchball arranged a good partner for me. I am enjoying conversation with my partner. I want be a Japanese teacher in the future. My partner asks me many questions everytime, it is so good for me. Sometimes I teach Japanese to my partner in English, it helps me to keep up my English skill. I needed Japanese speaking skill for finding a job in Japan.My partner teaches me not only conversational Japanese but also interview practice. I request my partner to be an interviewer and ask me some questions in Japanese everytime in order to be able to communicate in Japanese well. I needed to practice Japanese conversation. I took Japanese classes at Japanese school, but I had few opportunities to speak in Japanese. We regularly meet up and enjoy conversation. I think it works well for me. I like to meet new people, so I joined this system. Learning Catchball introduced me a partner who met my requests. We enjoy not only language exchange but also culture exchange.If possible, I like to meet more partner. I liked a partner who corrects my mistakes. 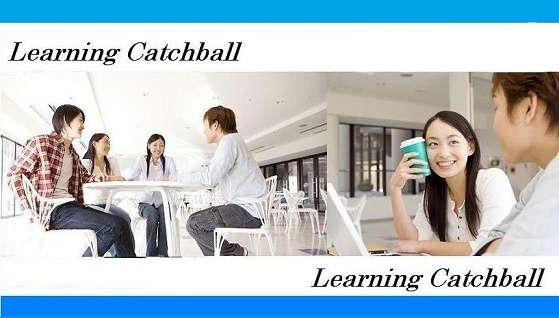 Learning Catchball introduced me 2 partners(male/female). They correct my mistakes and help me to improve my Japanese. I appreciate Learning Catchball so much.